Being able to share a love of music with your children is something that every parent hopes to enjoy. Sure, for the most part you will teach them in a way to love the music you do, after all, my parents listened to mostly music of the 80s while I was growing up, and I still listen to it now. I myself listen to a mix of everything, 60s up to today, and now my boys listen to a varied mix of music as a result. For parents today, it is hard to find music that doesn't have explicit lyrics or hidden meanings that children, although young, can pick up on. Luckily for those parents, and their children, there are children and family entertainers that offer music for families that seek it, entertainers like Randy Kaplan. 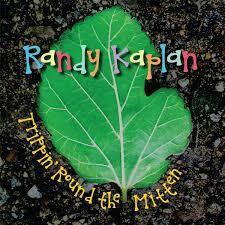 Kids and parents alike will find both laughter and whimsy in the songs on Randy Kaplan's album Trippin' Round the Mitten.